Either way, depends on when you are reading this, you may well be reading an edited version. Excuse the grammatical and spelling errors in the first version. I write terribly fast but I do try to edit later. Gracias. We arrived in Old Town sometime in the late afternoon when the sun shone brightly casting an almost orange hue. Your pictures don’t show this, it shows the blue sky and the white washed walls, but not the orange. It was orange and hot. It was also getting late. Hot. Dusty. Gravel under my shoes. I was walking on hard dirt. I was hungry and thirsty. 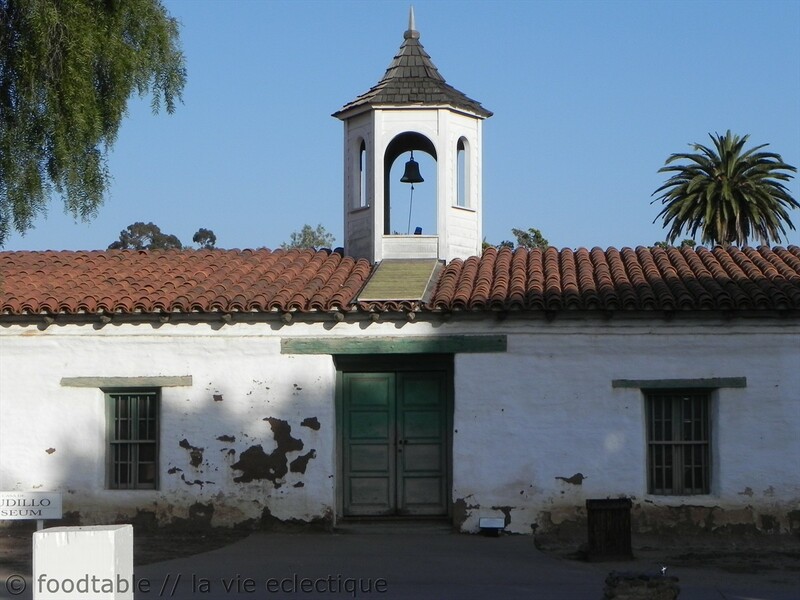 My first thought when we walked by Casa de Estudillo was what it may have been like back in those days. I imagine what it was like back then being a Mexican peasant walking down this very road dressed in stereotypical peasant clothes. White baggy peasant shirt and pants that are covered in dust with a sombrero hat hung low on my head to shield the sun. Beads of sweat slowly trickled down my neck and face as the unforgiving sun beats down on me, but you do not see this because the sombrero shields me away. After a hard day at the neighboring fields miles and miles away, I am slowly making my way home. Walking one step at a time on my bare calloused feet. It is a hard life, but it is fulfilling in some ways being able to provide food for the family. Then, I thought what if I was a Spaniard. Proudly walking down this same road after arriving a short time ago from Spain. Dressed in an ornate fashion with a bit of a swaggle. Tight pants, big fluffy shirt. Proud. Everything is tight, restrictive, black, and shiny. Finally, I imagine that my horse is resting nearby and probably swatting flies with her tail while I continued to walk around exploring this land. Ha, love to see you in a sombrero! A beautiful post filled with heart and wonderful memories. I recently visited my hometown, so much have changed. In my mind I still see the magic of the past and I tried as much to connect of what’s left in the present. Wonderful images. Thanks.